SHINE can accommodate both textual and visual printing in a variety of ways, including embossing, letterpress and digital printing. Matching envelopes in a variety of popular sizes are available in all colors, so your project will be tied together perfectly. 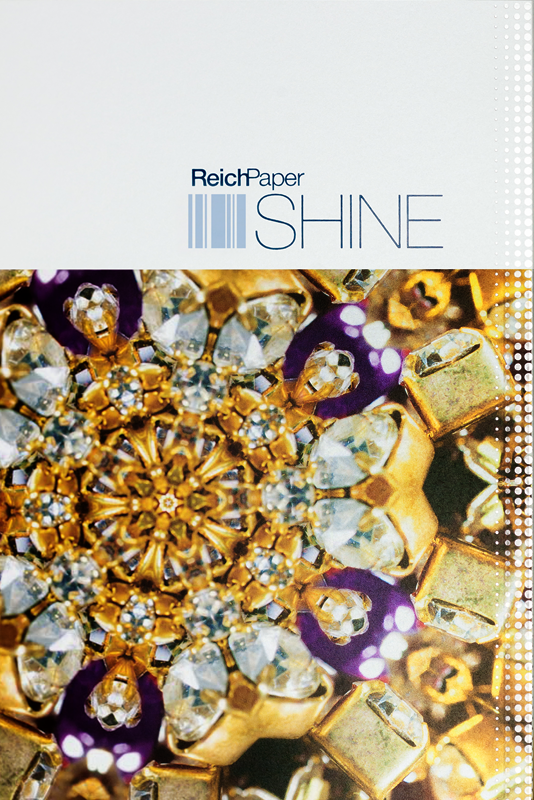 SHINE's luminous surface is designed to show through most printing inks, enriching any design. This innovation ensures that your readers and viewers will have a unique experience engaging with your brand, with an eye-catching shimmer highlighting your product or event.